A 2017 Timeline of Pinterest’s Feature Rollout – It’s Been A Busy Year! 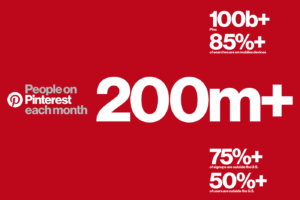 Pinterest hit 200 million active monthly users this month, a figure up 25% from little under a year ago. With a steady influx of new engaged and active users to the platform coming from international markets, Pinterest has had a busy year ensuring that their product offering stays unique, pushing for visual search functionalities as its core product. And securing $150 million in a new round of funding this year at a $12.3b valuation has ensured that their primary focus has been on just that. Let’s take a look at some of the new bells and whistles Pinterest has rolled out over this past year. 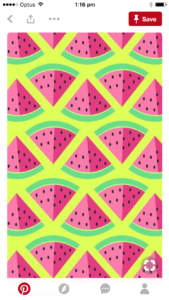 This feature saw Pinterest introduce the ‘Ideas’ circle on the bottom right hand of all images. Clicking this circle unlocks other related and interesting pins, inline, instantly reshaping your feed around things that interest you. The ‘Shop The Look’ feature is an extension from the 2015 feature that allowed users to pinpoint different items inside of a Pin. This feature introduced the ability for users to tap on the circles (as shown below) and track down and purchase products all inside of the Pinterest platform. This was the first time Pinterest had announced its “experimental technology” as a beta to users. 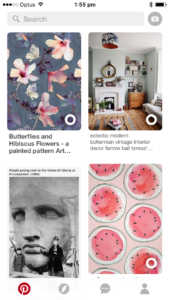 Rather than using text to search, this feature allowed users to use their cameras inside of Pinterest to search for things that interested them. Just point lens at a pair of shoes, then tap to see related styles or even ideas for what else to wear them with. Or try it on a table to find similar designs, and even other furniture from the same era. You can also use Lens with food. Just point it at broccoli or a pomegranate to see what recipes come up. They assured their users that they wouldn’t trash all of the pins they had previously liked, moving them to a new board in their collections called ‘Your Pinterest Likes’. Pinterest’s chief motivation for doing this was to gain insight into how they could better curate content for users based on their ‘Saved’ pins. Pinterest has always been a place where it’s users went to for recipe inspiration, and with this knowledge, Pinterest launched it’s ‘Food Filters’ in May. The filters allowed users to search for specific recipes and filter them based on dietary requirements, time to cook, ingredients etc. 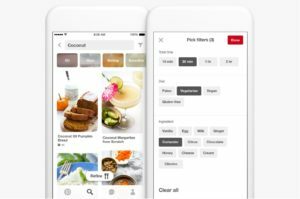 Pinterest announced in June that they had doubled the amount of categories that Lens had been trained to recognise from Fashion, to Home Decor to Food. The Beta testing showed Pinterest that users liked to wait until later in the day to Lens photos, not always wanting to do it in that very moment. As a result, Pinterest made it possible to view your camera roll while inside the Lens camera, also adding pinch to zoom and new focus features for a better user experience. Becoming an increasingly popular feature with users, Pinterest decided to move the Lens and search bar to the home feed – the search bar had previously been accessed by navigating to the ‘Explore Tab’. 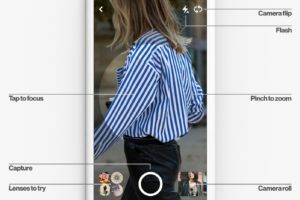 Due to the amount of new ‘live’ information being provided from Pinterest’s ‘Lens’ feature, Pinterest worked behind the scenes to make changes to what Pins appear on our Home Feed. The changes meant that the Home Feed would instantly update based on Lens searches and Saved pins. Pinterest also stated that they had worked to “zap repeated Pins” saying that they had managed to eliminate almost every exact duplicate to make the Pinterest experience “easier to find what you’re looking for”.